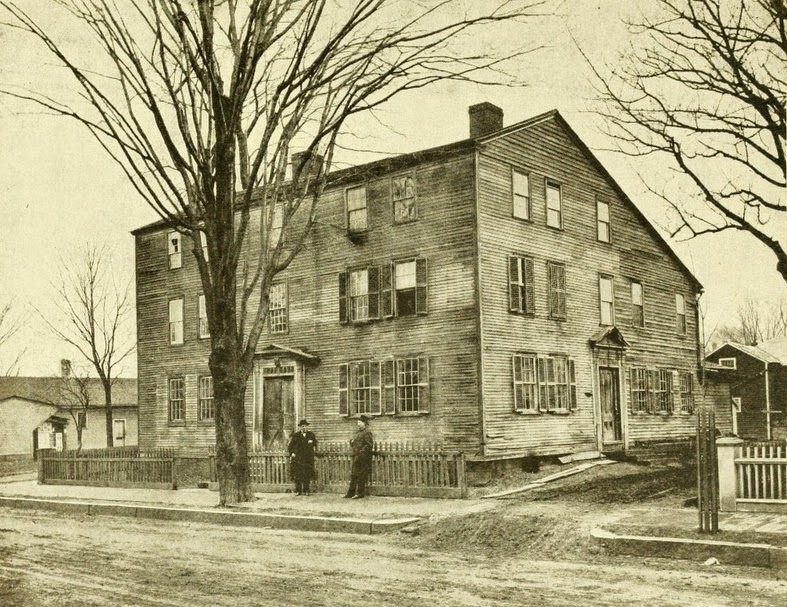 Parsons Tavern on Court Street in Springfield, sometime in the 1800s. 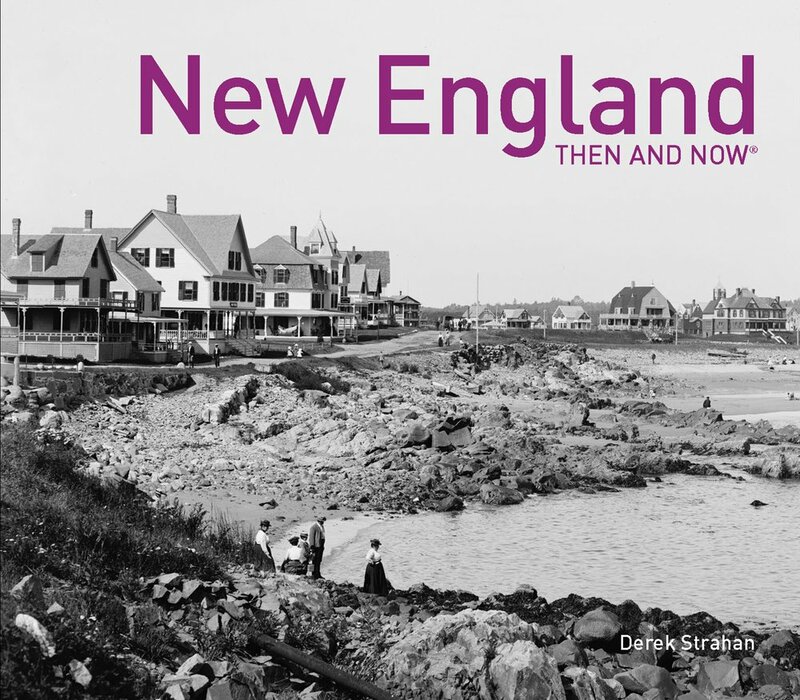 Photo from Our County and Its People: A History of Hampden County, Massachusetts (1902). When Springfield was first settled in 1636, it was at a strategic location along several different transportation routes. 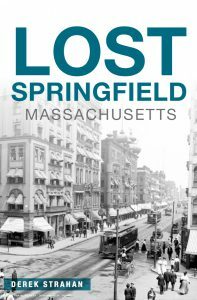 As the years went by, the modes of transportation changed, but Springfield remained an important crossroads. By the late 1700s, there were three major routes from New York to Boston, the northernmost of which went through Boston. Although a less direct route than the other two, the Springfield route reportedly offered the best taverns, and in Springfield the best was Parsons Tavern. The tavern was originally built on what is today the southeastern corner of Court Square, and was operated by Zenas Parsons. During its time in operation, it hosted at least two presidents, the first of whom was George Washington in October, 1789. Washington was on his way to Boston, and made a stop in Springfield to inspect the Armory. He stayed overnight at Parsons Tavern, and wrote in his diary that “A Colo. Worthington, Colo. Williams (Adjutant General of the State of Massachusetts), Genl. Shepherd, Mr. Lyman and many other Gentleman sat an hour or two with me in the evening at Parson’s Tavern where I lodged and which is a good House.” Years later, in 1817, President James Monroe also visited the tavern, not long before it was moved in order to make way for Court Square. The tavern survived until at least the 1890s, but it was gone by the early 1900s, but today its former location is a parking lot at the G.A.R. Hall across East Columbus Avenue from Symphony Hall. Springfield is still a major transportation hub, although as the 2014 photo shows, we’ve come a long way from stagecoach routes and taverns. 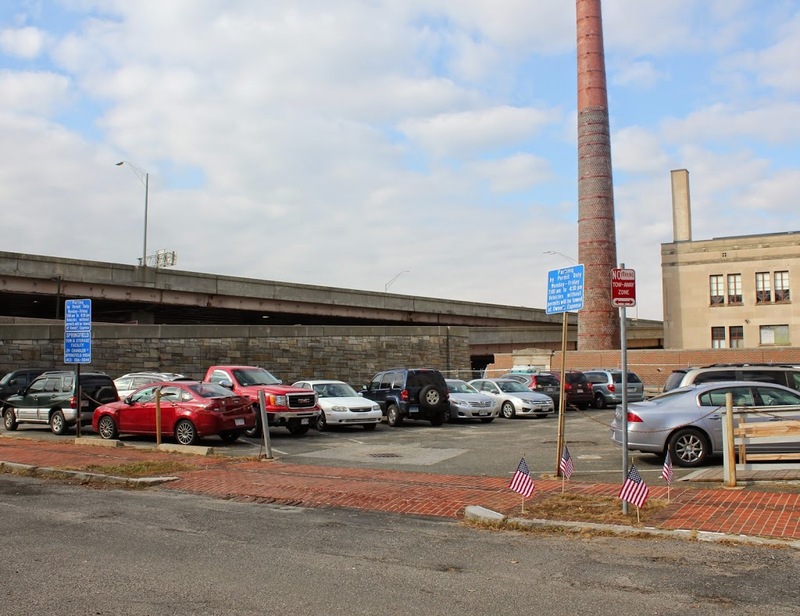 Interstate 91 now passes through this scene, and probably has more people travel on it in one day than Parsons Tavern had during its entire existence. I have walked here every work day for over 40 years & didn’t know this interesting fact! I saw the marker on a stone in Court Square.